It's never a bad thing when you can get Tim O'Day or Paula Sigman Lowery as guests on your podcast. It's my pleasure to welcome both of them in this episode of The Mouse Castle Lounge. Tim has spent decades working and consulting with Disney as a publicist and marketing specialist, but his beginnings with the company were far more humble. His first introduction to Disney employment was at the age of 13 when he danced as a Roman column in a Disneyland parade. His work since has been a bit more noteworthy, with stints at Disney Consumer Products, Imagineering, the Walt Disney Internet Group and the Disneyland Resort. In fact, Tim was Director of Publicity during Disneyland's highly successful 50th anniversary celebration. Tim has called many Disney Legends his friends, and in our conversation he talks fondly about composers Alan Menken and Richard Sherman, who will perform on stage together at the D23 Expo in August. He also recalls travelling the U.S. with animators Frank Thomas and Ollie Johnston as they went in search of Americana and the ultimate chocolate chip cookie. It's a fun and entertaining conversation you don't want to miss. Last week, the Walt Disney Studios paid a lasting tribute to Annette Funicello by renaming their Soundstage 1 the Annette Funicello Stage. It was on this stage that the original episodes of The Mickey Mouse Club were shot in the 1950s. An invitation-only ceremony was held at the studio on June 24th to honor the original--and arguably the most beloved--Mouseketeer, who passed away in April after a lengthy battle with Multiple Sclerosis. In attendance were, among others, Bob Iger, Richard Sherman, Frankie Avalon, Leonard Maltin and many of Annette's fellow Mouseketeers. My good friend, writer and historian Paula Sigman Lowery, was there as well and in The Mouse Castle Lounge she shares with me her observations of this touching event. Paula and I also take some time to reflect on what made Annette truly special not only to her family and friends, but to her legion of fans around the world. 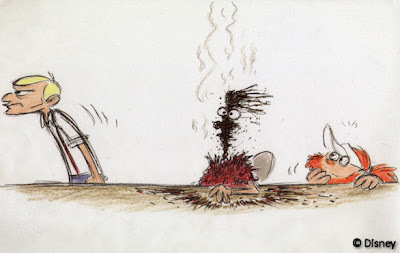 It's good fun and fond remembrances in this week's edition of The Mouse Castle Lounge. Enjoy! The best compliment I can pay Monsters University is that there was a point near the end of the movie when I really didn't know in what direction the story was going or how it would end. That is no small feat for a prequel where we know our heroes, that punky little eyeball Mike Wazowski (Billy Crystal) and the furry, ferocious James P. Sullivan (John Goodman), will ultimately end up as the superstar team of Monsters Inc. It's also a reminder that when Pixar is at the top of their game, no studio in Hollywood, animation or otherwise, can match their storytelling skills. 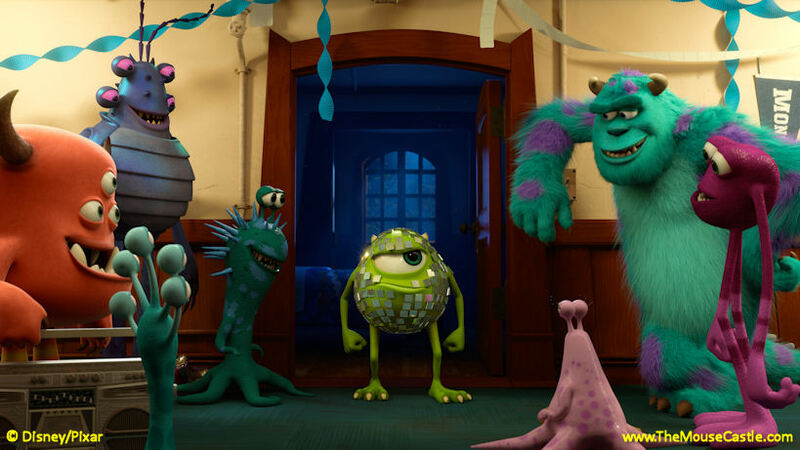 Monsters University is a highly entertaining--and sometimes surprising--animated romp that puts its own unique spin on college coming-of-age comedies. Mike and Sulley are both students enrolled in Monsters University's prestigious Scare School. This is the place that all ambitious monsters aspire to if they want to be the best of the best of the best converting children's screams into energy at Monsters Inc. Mike is the tenacious, nose-to-the-grindstone type, low on talent, but huge on smarts and determination. Sulley is the natural-born scarer with little interest in tactics or technique. He's making it through school strictly on his raw ability and a family name that's legendary in the annals of M.U. alumni. Mike is driven to ace every test. Sulley is content to skate by on his talent alone. Naturally, when they first meet, they become jealous adversaries. But, when circumstances force them to team up with a rag-tag group of outcasts in the campus-wide "Scare Games," they form an uneasy alliance that will make or break their future at M.U. 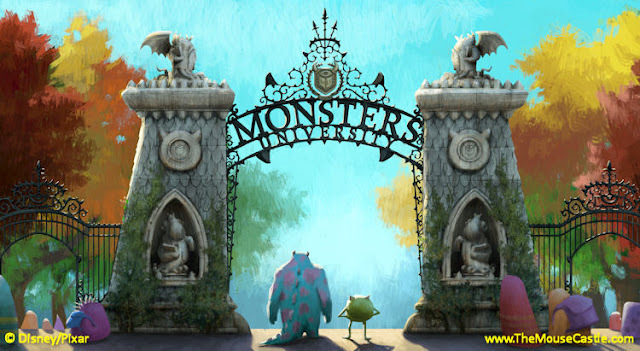 Monsters University borrows liberally from other memorable school age films from Animal House to Revenge of the Nerds to Harry Potter, with touches of Carrie and The Hunger Games thrown in for good measure. Writer/director Dan Scanlon and the rest of the Pixar crew clearly have an affinity for these films, but they treat them with playful reverence--not as a ripoff--keeping Monsters University fun and fresh, never stale. 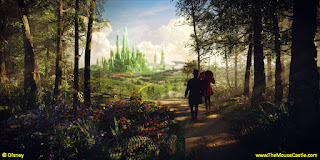 Behold, the wonderful land of Oz! It's always nice to have guests who can do the heavy lifting for you in a podcast. Today's episode of The Mouse Castle Lounge includes plenty of guest talk and celebrity soundbites. It certainly made my job easier to shut up and let them have their say. I'm pretty sure you'll enjoy them too. 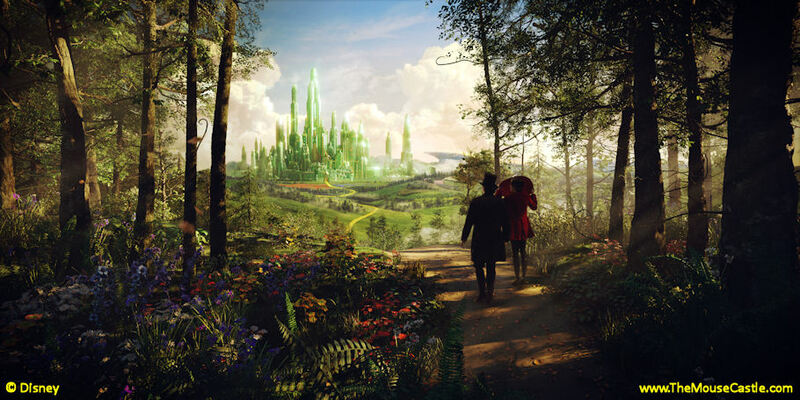 First, we'll hear from the cast of Oz the Great and Powerful, which debuted on home video this month. This is a movie that surprised me when it hit theaters in March. I didn't expect to enjoy it as much as I did. I was fearful it would be just another soulless, mindless exercise in CG effects (kind of like Tim Burton's Alice in Wonderland, to which it had been compared). Guided by the steady and creative hand of director Sam Raimi, however, Oz turned out to be a highly entertaining fantasy-adventure that more than holds its own next to 1939's Wizard of Oz, not to mention the original Oz books by L. Frank Baum. In the Lounge, Raimi talks about the efforts that not only went into making the film, but also went into putting together the bonus features that are included on the Blu-ray disc. Stars James Franco, Mila Kunis, Rachel Weisz, Michelle Williams and Zach Braff give their behind-the-scenes input as well. Next, we'll be on the blue carpet for the premiere of Monsters University in Hollywood. The prequel to Monsters Inc. opened this weekend to favorable reviews and big box office returns ($82 million). Billy Crystal (back as the voice of Mike Wazowski), John Lasseter and director Dan Scanlon chime in with what makes the Monsters franchise and its characters so special. Finally, I'll have part three of my very special conversation with Sarah Ashman Gillespie as we wrap up our discussion of her late brother, Howard Ashman. Howard had a legendary career with Disney, co-writing the songs for The Little Mermaid, Beauty and the Beast and Aladdin. In 1991, he died far too young at the age of 40 from complications associated with AIDS. Sarah speaks candidly about her brother's illness and the support he received from his family, friends and colleagues at a time when very little was known about the disease and society's attitude towards it was oftentimes less than sympathetic. Famous and fascinating people doing most of the talking. That's my kind of show. Please enjoy today's edition of The Mouse Castle Lounge. It's Howard Ashman Part 2 in The Mouse Castle Lounge as I continue my conversation with the late lyricist's sister, Sarah Ashman Gillespie. 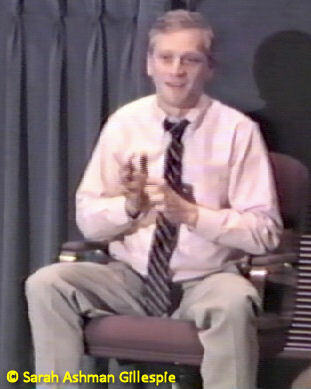 In part one, we talked about Sarah's website and blog, Howard Ashman: Part of His World, and discussed Howard's early career. 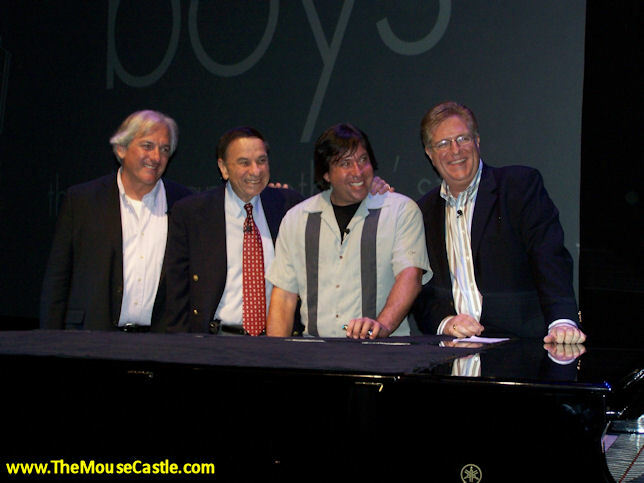 Today, we talk about how Howard and his musical collaborator Alan Menken met, a partnership that would produce classic song after classic song for the Disney animated features The Little Mermaid, Beauty and the Beast and Aladdin. Sarah and I also discuss how Howard brought his east coast theatrical sensibilities to the west coast and made them work in the world of film animation. But wait, there's more! Also in the Lounge, we pay a visit once again to the Walt Disney Family Museum and take a look at their new Maurice Sendak exhibit: 50 Years, 50 Works, 50 Reasons. My guest is guest curator Anel Muller, who gives us insight into Sendak's work, which was more than just his seminal children's book Where the Wild Things Are. He was a gifted writer, illustrator and set designer...and he was a huge Disney fan. Who knew? It's all about beauties, beasts and wild things in this edition of The Mouse Castle Lounge. Enjoy!